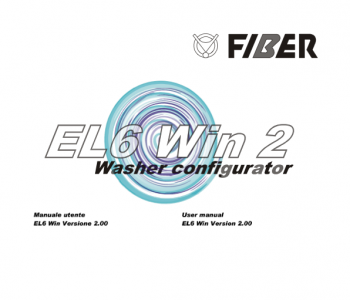 The CPU of the controller Fiber EL6 is able to control all the functions in a washer extractor. 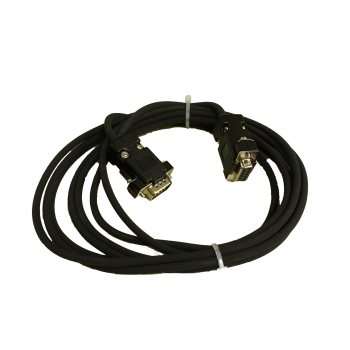 In its two versions, INVERTER and NO INVERTER. 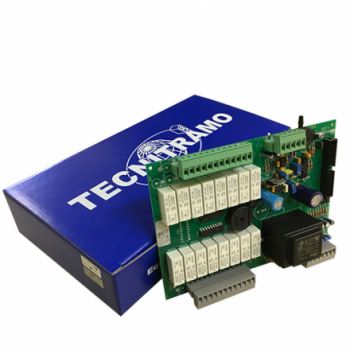 The first works with machines controlled by a frequency inverter by an analogic signal from 0-10V. The second, its for machines with two different motors, wash and spin. 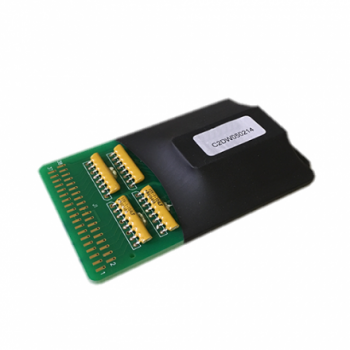 Software for programming through PC is available, connecting wires, programming memory cards, etc. 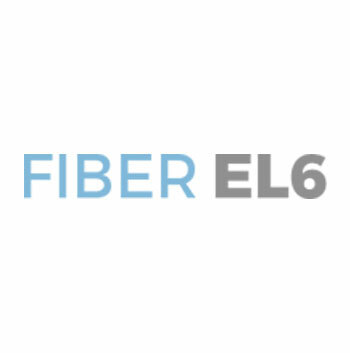 The controller Fiber EL6 works in combination with one of its two versions of power board, 16 and 24 relay depending on the customer needs. 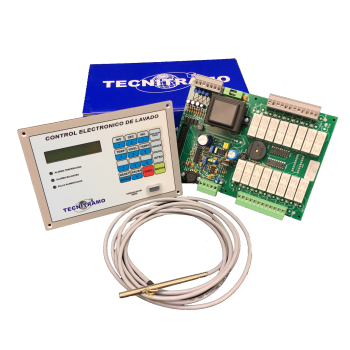 Both of them include the analogically control for the temperature sensor, the absolute pressure transducer, up to 3 water inlets, 4 soap signals, control of the direction and motor speed, … Besides, the EL6 can control 4 digital signals as inputs. 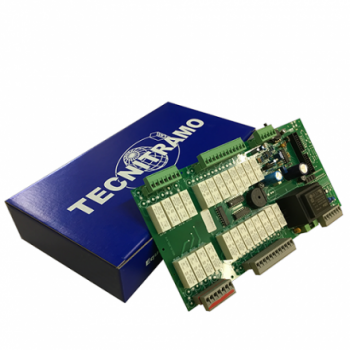 The temperature sensor was designed to work in combination with the Fiber EL6 CPU. 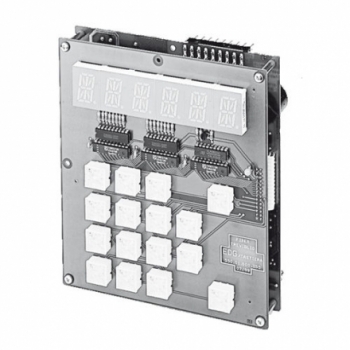 Built in 4 in 1 wires, including one for signal isolation. The bulb with enough length to provide the sufficient contact surface to reach the optimal point of heating inside the washer cube. 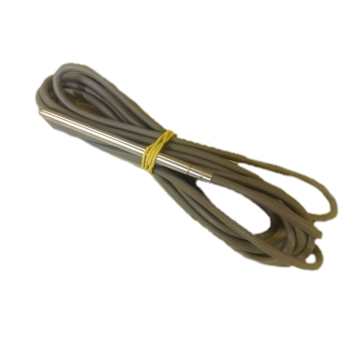 For its largest durability, the wire is cover by silicone larger that 3 meters for an easy installation in larger equipments. 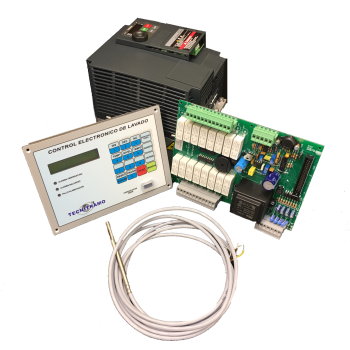 The EDG dryer controller is a complete and simple programmer for industrial dryers. 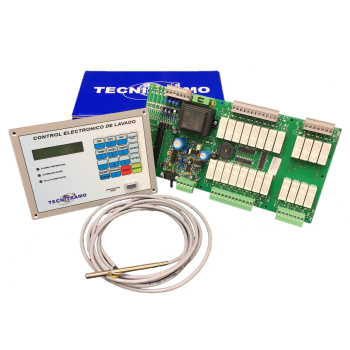 It has up to 20 modifiable programs of which we can give a value to the drying time, drying temperature and cooling time. 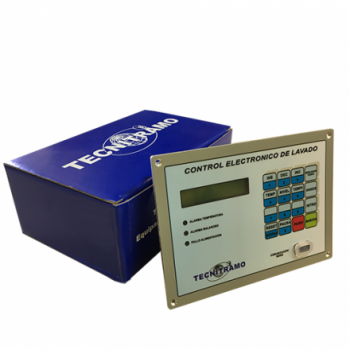 In addition, it can control machines with variable frequency drive and is available in 5 languages (English, Italian, French, German and Spanish).